iPhone, iPad, iPod, iMac, iTunes.... iDie. Well no need for further elaboration on Steve Job's achievements. Who doesn't know Steve Jobs anyway? 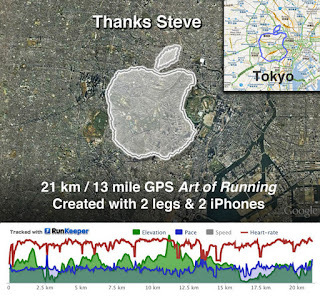 In fact his works are so important that during his resignation from Apple, Inc. on August 2011 due to his illness that eventually caused his death, a Tokyo-based runner Joseph Tame went on extra mile to pay tribute to Steve Jobs priceless contribution to the world of Technology. 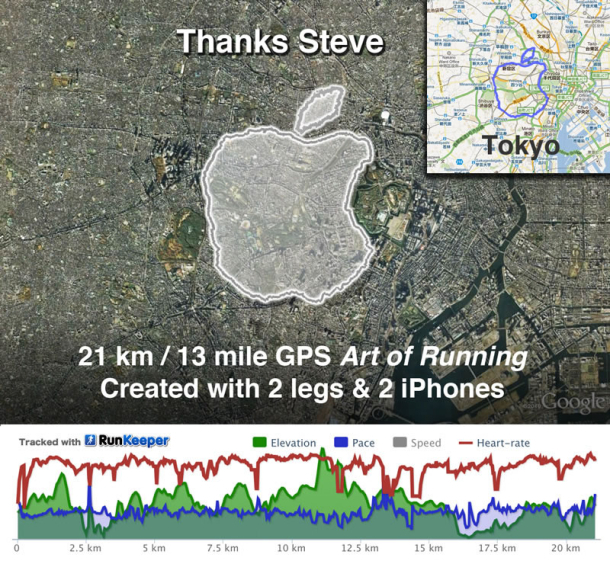 Joseph ran 13 miles in 2 hours, in the shape of the Apple logo, to express his admiration for Steve Jobs and his company Apple. 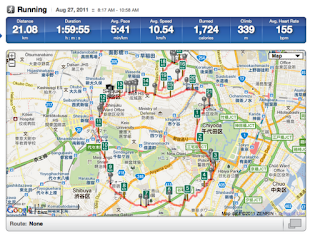 He used ‘iRun’ – (his own creation) a portable social media studio to track his complete path. iRun includes four iPhones, an iPad, an iPod, an Android handset, three pocket wifi units and a bird-feeding dish to connect to multiple mobile phone networks. In addition to live streaming video, the device has built-in support for Twitter, Runkeeper (live GPS tracking and heart-rate info), FaceTime, Skype, and a mini-weather station that collects data on temperature, CO2, noise and humidity levels. See video here. According to New Launches Tame completed this two hour tribute (with an average heart rate of 155 beats per minute). 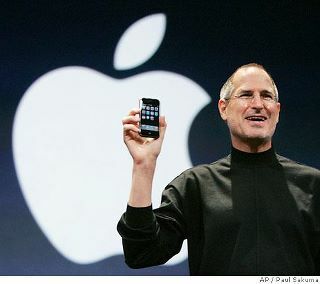 He said, because "having a iPhone really has changed my life here in Tokyo. 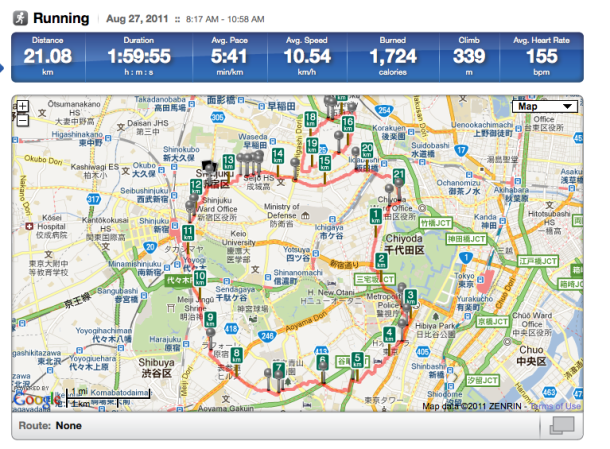 Here in Japan it's like a lifeline (even more so now it can warn me when an earthquake is about to hit)." That explains that very special tribute!